Towards the end of last month, Culver City-based ThinkNear (www.thinknear.com) announced a seed round of funding for its location-based mobile advertising service, with notable inclusion of such firms as IA Ventures, Google Ventures, Qualcomm Ventures, and others. To hear more about where exactly the firm fits in a crowded space, we spoke with Eli Portnoy, the firm's founder. Thanks for the time today. To start, why don't you describe how your mobile ads work? 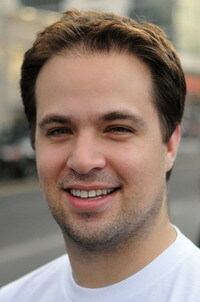 Eli Portnoy: ThinkNear is a really easy, super-efficient way for local businesses to make more money. What that means, is we monitor, algorithmically, how busy or how slow a merchant is in real time, and use that information to create discounts and mobile marketing campaigns. If you think about a local business down the street, they all have times they are busy and times they are slow. If you try to use daily deals or directors, or even handouts of fliers for marketing, that only brings customers when you're already busy. What we have done, instead, is figure out when business is slow, and use that as a parameters to create campaigns on their behalf, to drive customers into their stores. How do you figure out when things are slow? Eli Portnoy: There are a bunch of things. We look at indication of slow times, combined with other resources telling us when they should be busiers. It's more or less predictable. For example, if you are a typical restaurant, between 12 and 3 you are probably busy, at between two and six you are probably slow, with 6 until 8 busy again. That is predictable, and combined our tracking of other, unpredictable factors--such as if it's raining--we can see when there is less business for a company. That's the kind of data we're tracking, so we can optimize ads for businesses based on how busy they are. There seems to be a lot of competition in this area, not the least being Groupon Now. How are you doing things differently? Eli Portnoy: The first differentiation we have from every other competitor, and pretty much any big ones you can think of like LivingSocial or Groupon, is that we're merchant focused. Our only customers are merchants. We're building this solution to help them. We don't have two opposing groups we have to deal with, only the merchant, and it's optimized for them. The first thing we offer, is it's completely automatic. You don't have to set up seven campaigns, or have to hire a group to create a campaign for you. You can sign up for our service in five minutes, and then we're doing everything for them. They can sit back, and work on what they're good at, which is managing their business. We also optimize the advertising for them, moving discounts up and down, figuring out what will drive the most customers. We figure out how to make those discounts more effective, to help them make more money. The third, is distribution. If you are using something like Groupon Now, the only people who see your deals are those that have downloaded Groupon Now's mobile app--who are the deal seekers. Those folks are constantly looking for deals, which might not be the customers you want to attract. With our product, what they see on our site is seen across many different places. We work with multiple ad networks, and take over the ad unit when people are browsing on their phone, working with mobile apps. We're integrating into the experience, and taking a distributed approach, which gives us more impressions, and more reach, and a better kind of customer in the door. Eli Portnoy: Out of college, I did what lots of people did, and started consulting. I was working with big companies, trying to give them advice. If you think about it, that's kind of ridiculous--someone 22 or 23 years old, giving corporation advice. I didn't think I was contributing or impacting the world in real life. So, I left, and started my own company. That was back in 2005, and the premise was that there were lots of sites to help job seekers and employers connect, but they didn't work for a segment of the population, such as dishwashers, busboys, and others who did not have access to the Internet. So, we created an automated telephone hotline to let them hear about job opportunities, and to ensure that employers could hire this demographic. As part of that, I got to speak to lots and lots of small businesses. It became very clear that the most important piece of their business was getting customers in the door, at the right time. I put that back into my mind, ended back in business school, and while there learned things about pricing, which clicked with that experience. That ended up becoming a deal matching platform, which would work for local businesses. You're in LA, but we understand you were also part of the last TechStars New York class. How did that go? Eli Portnoy: It's an amazing program. It's been transformational in what we have in the last three months. We were able to meet the who's who of Internet technology. Aside from the advice and help, and the resources, it also amplified who we were able to get in touch with, and the partnerships we have been able to put together. It was an amazing experience. Did the big list of investors you have come from pitching at TechStars? Eli Portnoy: Actually, with IA Ventures I had a previous relationship before TechStars. The rest of the investors did come via TechStars. Metamorphic, Qualcomm, and the others all came from TechStars. We notice you are currently only in New York, do you have plans to open here in LA and elsewhere? Eli Portnoy: Yes, we definitely will be opening in LA. We were in New York first, because we spent almost four months as part of TechStars, and we were able to sign up merchants and partners out there first. Now that we're in LA, where we are based, we'll be launching here very, very soon. The geography between New York and Los Angeles is very different. What's the biggest challenge you see in adapting to this market? Eli Portnoy: Our solution is a very mobile solution, but it is different between New York and Los Angeles. In New York, the issue is finding foot traffic. But, in Los Angeles, since no one walks, finding people will have to use a slightly larger radius. There are probably other nuances, which we will be tweaking and calibrating to account for. What's the biggest lesson you've learned so far from this experience? Eli Portnoy: The space we're involved in is evolving so quickly. To take anything we are thinking as a hypothesis is dangerous. We've been very quick to react and adapt, and tried ultimately to come up with the best solution for local businesses. But, this industry we are in--mobile and location aware--is changing so fast it's really the Wild West. Finally, what are you spending the next few months working on? Eli Portnoy: We have a couple of partnerships we're exciting coming out soon, but we can't talk about those yet. The next thing we are doing is expanding to LA. There's something interesting about local in Los Angeles, and some significant local companies have started out here. If you think about New York, it's a very, very unique city, which doesn't necessarily translate to the rest of the nation. But, with LA, since it's sprawling, and very much a car city, if you can build a service that works in LA, you should be able to scale and take it everywhere else. We're really excited to be here and bring the service here.